SEO copywriting is a skill that every marketer needs to learn. Many get the hang of the ‘SEO’ part of it, but they often forget that they’re actually writing for humans. It’s a thin line to tread. You need to ensure that Google will find and index your work, but you need to make sure that your readers are getting value from it, too. You can write content that does both, it just takes a little skill and know how. Here’s how you do it. You want people to find your blog, or website. That means that you’re loading your page full of keywords and SEO tricks, that will get your site indexed. This may well work in the short term. People will find your blog and read it. However, they may not stick around. Content that’s written with just Google in mind won’t be anything that a reader will want. it won’t offer any value to them, as it’s not written for them. That’s why they’ll click away not long after they’ve come across your page. Google will notice this. No one knows exactly how their algorithm works, but you can be sure that it will see people leaving your site not long after they were directed there. That will tell them that your site isn’t offering anything of value to them. Because of this, it will start indexing your site lower, making it harder for readers to find you. So you can see, there’s a lot of reasons why you want to write for both humans and Google at the same time. Here’s how you can do it. Before you write anything, do your research. You want to find out what your customers are looking for online, what they’re finding on your competitor’s sites, and what you can do to bring them to you. Start using tools that will help you do this. SEMRush, for example, can help you examine what your competitors are doing. Kissmetrics are full of advice that can help you decide on what your customers are looking for. When you have this information under your belt, you’ll be able to start planning what your posts will be about, and what you’ll include. Back in the ‘good old days’, writers would pack their copy full of keywords to pull in the readers. This brought them to the page, but of course it didn’t hold them there. That meant that it wasn’t actually the best method when it came to keywords. Nowadays, Google actually penalises sites that do this. You’ll need to insert keywords naturally into the text, to ensure that you’ll be indexed properly. Pick keywords that relate to the post in question, and insert them so they flow well with your text. Good grammar is vital for good SEO. Google has been seen to de-index sites that have poor grammar. This makes sense, as bad grammar can make it hard to follow what a writer is saying their posts. It is a real skill to get it right, so don’t be afraid to get help if you need it here. For example, you can go to State Of Writing for grammar writing guides to help you write. Grammarix is another tool, which will check your writing and ensure your writing is at its best. Your headlines are going to be the first thing readers are going to see in the search results. That means they’re doing a lot of work for you. They need to entice the reader to come in and start reading your post, so they’ve got to be accurate and catchy. Make sure that the title accurately represents what the piece is about. Again, you don’t want a reader to click away if they don’t find what they need. 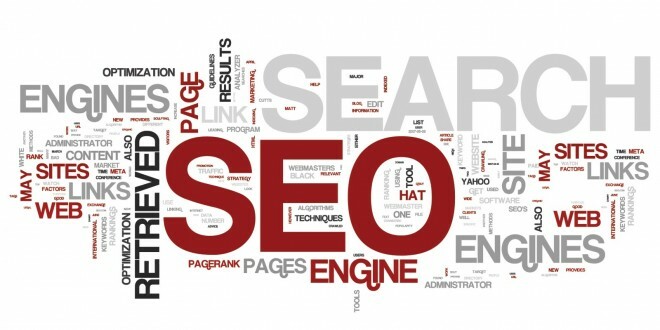 Tools like Elite Assignment Help can help you generate SEO optimized headlines. The best headlines will contain keywords that show the reader what they’re looking for. Make sure you’re giving the reader content that’s useful to them. It’s worth brainstorming a few ideas so you have a starting point, and you can go from there. If you need help with this, there are tools that can help. UK Top Writers can help you generate ideas, and get the content written ready for your blog or website. Have you ever used the meta tags? You should be, or you’re missing out. These don’t show up in your main content, but they sit in the code. When search engine crawlers check your site, these tags will tell them exactly what your page is and what it’s about. Make sure that you’re putting them to good use! If you’re not sure how, a service like Revieweal will help you write optimal meta tags for your site. As mentioned earlier, it’s not just the quality of your content that matters to Google, it’s how you’ve actually written it that matters too. Poorly written content will get pushed down the indexes, as it won’t be perceived as having much value. That’s why you must proofread and edit before anything goes live on your site. If you need help, or don’t have time to do it yourself, you’ll need to get yourself some help. Services like Best Australian Writers can handle it for you. Ensure you use them when needed, to write quality content. With these tips and tools, you’ll be able to write content that’s optimized for both humans and Google at the same time. It’s easier to do than you’d think, so follow this advice and you’ll be getting the hits you need in no time at all.